Fiction – paperback; Salt Publishing; 133 pages; 2014. Review copy courtesy of the publisher. If you have ever read any translated novellas published by Peirene Press, then Meike Ziervogel* will be a familiar name for she is the founder and publisher of that independent and award-winning London-based company. Her new book, Clara’s Daughter, explores universal themes focused on love, marriage, growing old and the sometimes complicated relationship between mothers and daughters. Set in north London, the story revolves around middle-aged businesswoman Michele, who is successful at her job — she loves the “status and illusion of power that it gives” — but is floundering at home. Her children, Felix and Thea, have finally left the nest, and now Michele and her husband, Jim, are forced to confront the reality that they no longer have anything in common after 25 years of marriage. To complicate matters, Michele’s mother, Clara (of the title), needs looking after — there is talk of placing her in a home, although Michele’s sister, Hilary, doesn’t like the idea. Eventually, Clara is installed in the basement of Michele’s home, but despite sharing a house the two are unable to relax in each other’s company and go to extraordinary lengths to avoid having to communicate. I hear her turn the key, open the door, close it. For a moment there is silence while she quietly removes her shoes. Then she tiptoes into the kitchen. I hear her take a glass. Silence. Then water is running out the taps. I know she will stand at the top of the stairs to the basement, holding her breath, listening. Nothing except darkness will meet her. I am pretending to be asleep. The book highlights the tensions in Michele’s marriage as well as the tensions between her, her much more “forgiving” but highly strung younger sister, and Clara, who is fiercely independent but also fearful, lonely and increasingly paranoid. 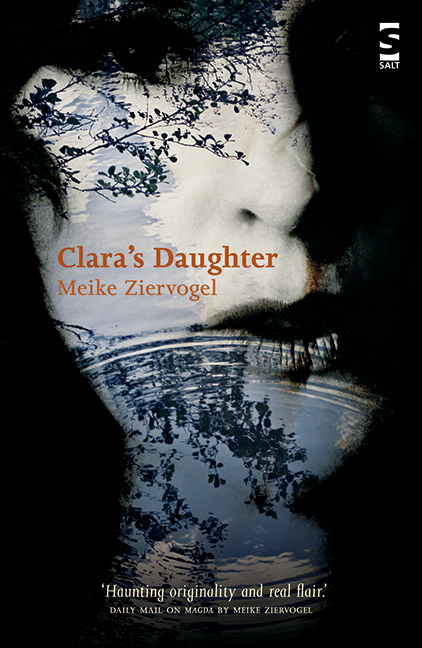 Clara’s Daughter is told in uncluttered prose (though, admittedly, the first chapter feels a bit “flowery”, which is not indicative of the rest of the book), from various viewpoints and in brief chapters that jump backwards and forwards in time. The narrative is informed by an uncanny sense of silence and of space, which not only gives the story room to “breathe” but helps create a sense of increasing tension. The clever structure shows how past resentments can fester if not dealt with, as well as fleshing out the frailty of sexual love, the harsh realities of family duty and the different sides of ourselves that we present at work and home. I found it a rather taut drama about domestic and matriarchal power in which each character is stuck in a “role” from which they can’t truly escape. It made me think a lot about how we treat our aged parents and whether daughters are always destined to become their mothers. This story doesn’t exactly provide the answers, but for a book that is less than 140 pages, it certainly packs a lot in. * In the interests of full disclosure, I know Meike personally. This is the second favourable review of this book that I have read. I loved Magda so will eventually get around to buying a copy of this as well. Nice to see you back. Thanks, Sharkell. The book is only out today (15 September) so I expect you may see a few more good reviews in the weeks ahead. Great new look Kim and clicked immediately on this title, Magda was tense, taut and uncomfortably good, looking forward to reading this one too. Love the novella form and Mieke’s choices for Peirene Press. Thanks, Claire. I really must dust Magda off the shelf. I heard Meike talk about it at (the now defunct) Woolfson & Tay bookshop last year and loved the sound of it, but just haven’t been in the right frame of mood to read it. I think she nailed the middle-aged daughter perfectly! You must give Magda a go – it won’t take long and it’s extremely powerful. Yes, the middle-aged daughter is done very well. Indeed, all the characters are done well. And yes, I know I need to read Magda. Too many books, not enough time!